The Buffalo Bills and Jani-King are asking anyone ages 18 and over (or under 18 with proper working papers) interested in shoveling snow inside the stadium to come to New Era Field starting at 9 AM tomorrow (Tuesday, December 12, 2017). Shovelers can sign up with Jani-King beginning at 9 AM tomorrow and may register to work anytime between 9 AM and 5 PM. Rate of pay is $11 per hour. Lunch and dinner breaks will be provided throughout the shifts in a comfortable warming area. Those interested in shoveling must have proper identification (driver’s license, state ID) to be able to work. 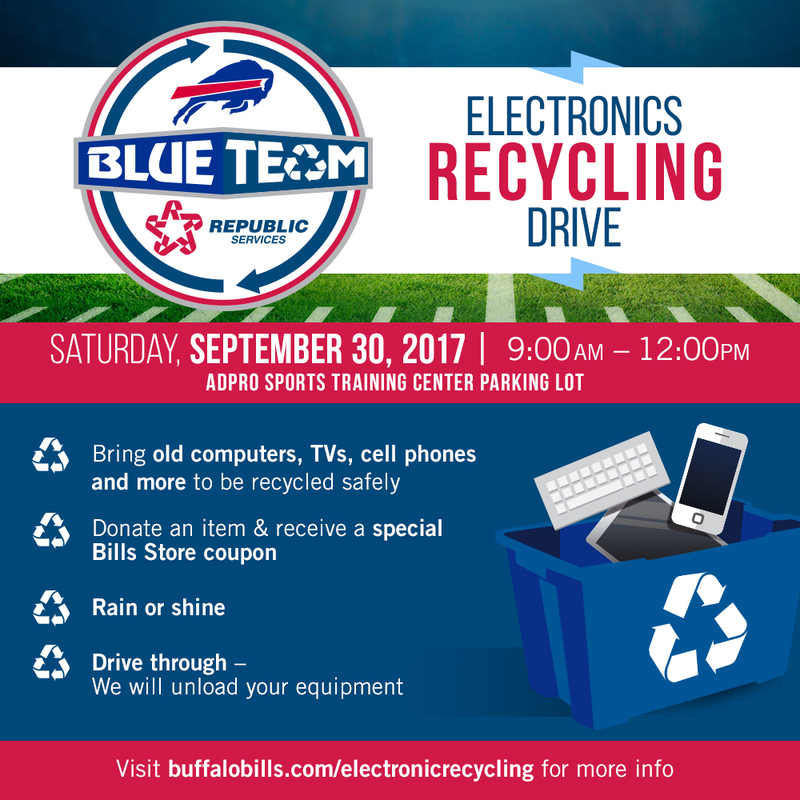 A complimentary Bills game ticket will be given to those that work a four-hour shift or longer. Two tickets will be provided for those that work multiple four-hour shifts. Prospective snow shovelers are also asked to dress appropriately for the weather and to bring their own shovels (shovels will be provided if you do not have one). Shovelers may enter off Abbott Road just north of the Team Store and proceed to the Jani-King office trailer east of Parking Lot 6 to register to work. For more information, please email jksnowevent2017@gmail.com. 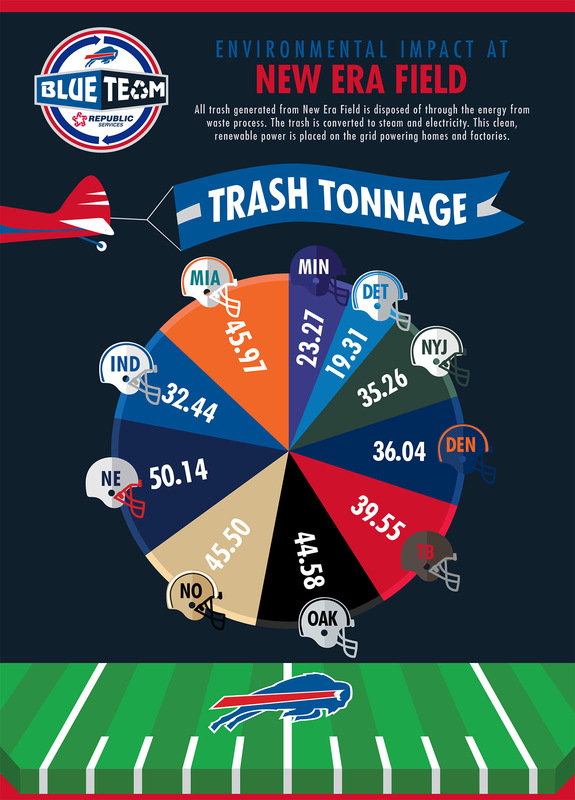 The Buffalo Bills are playing under the lights of a significantly upgraded LED system at New Era Field this season. Vertex Solutions has installed a new Carolina High Mast LED light system at the home of the Bills. The new system has cut energy consumption in half, while increasing lighting levels nearly 30%. While saving 390 kilowatts over the course of the season, it still renders a more crisp, white light that shows colors more true for a clear high definition television broadcast. The Carolina High Mast system also utilizes ultra low flicker technology to allow more extreme slow motion replay to be seen with clear illumination that is not possible with other systems. Historically, stadium lights have lengthy warm-up periods, which can lead to delays in game action following a power disruption, and can consume excess energy. Carolina High Mast’s system offers instant performance, eliminating the long start delays. It also contains an integral DMX control unit, which will allow New Era Field the ability to initiate flashing, strobing and chasing of lights, which can enhance the experience for concerts and special events. Vertex Solutions is the local representative of Texas-based Carolina High Mast, a leader in outdoor lighting for more than 20 years. New Era Field is the third professional sports venue to install a CHM system this year, joining SunTrust Park (Atlanta) and AT&T Park (San Francisco). Vertex Innovative Solutions, Inc. is an independent sales agency covering the Upstate New York area. Vertex provides leading-edge LED lighting equipment, controls and electrical supplies focusing on new and innovative ways to cut energy costs, increase sustainability, and improve the environment – both indoors and out. Through this new technology, it is now possible to make the workplace more comfortable, more productive, and more friendly while helping to make the planet greener through the reduction of the carbon footprint of all buildings and facilities everywhere. This new evolution of LED lighting increases the quality of lighting at home and in the workplace while driving energy costs down. We can now look beyond today knowing that the future has never looked brighter. For more information, visit www.vertex-ny.com. Carolina High Mast is a division of Fort Worth, Texas based CHM Industries, Inc. Carolina High Mast is a leader in high output, energy efficiency lighting systems for use in large scale applications like roadway, ports, rail yards, parks and recreation, and professional sporting venues. A leader in sports lighting for nearly 20 years, Carolina High Mast has provided lighting systems to many professional stadiums throughout the NFL, MLB and MLS leagues. All lighting systems, LED luminaires and structures are designed and manufactured by Carolina High Mast in the United States of America. For more information about the sports lighting offering of Carolina High Mast, visit www.chmsportslighting.com/. “Like” Carolina High Mast and share how the new lighting at New Era Field has impacted your fan experience on Facebook at www.facebook.com/carolinahighmast. To learn more about the other product offerings of CHM Industries, Inc. visit http://www.chmindustries.com/. 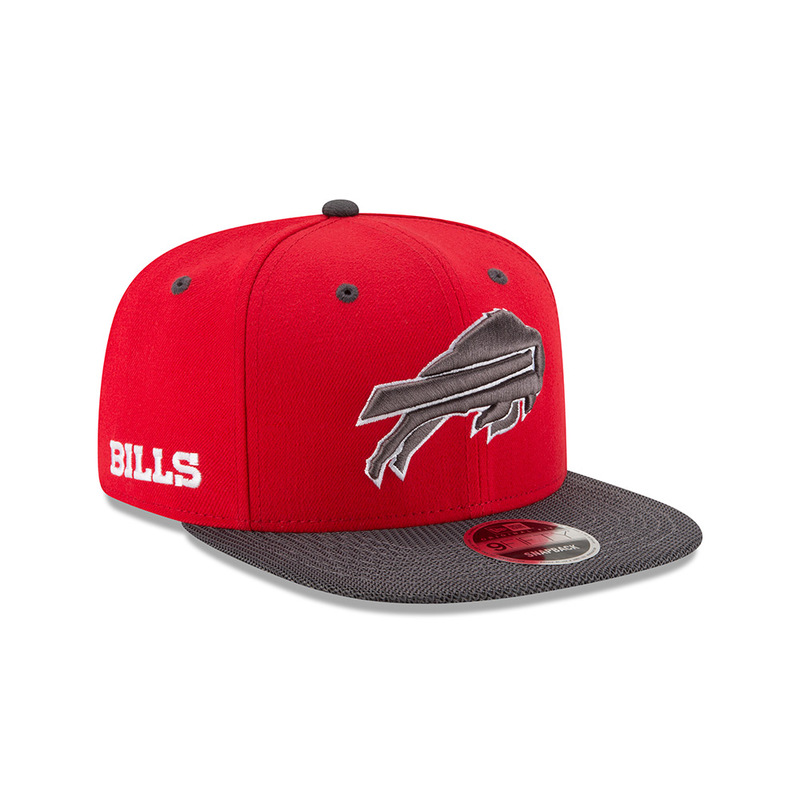 There will be a newly designed Bills cap making its debut at New Era Field today. 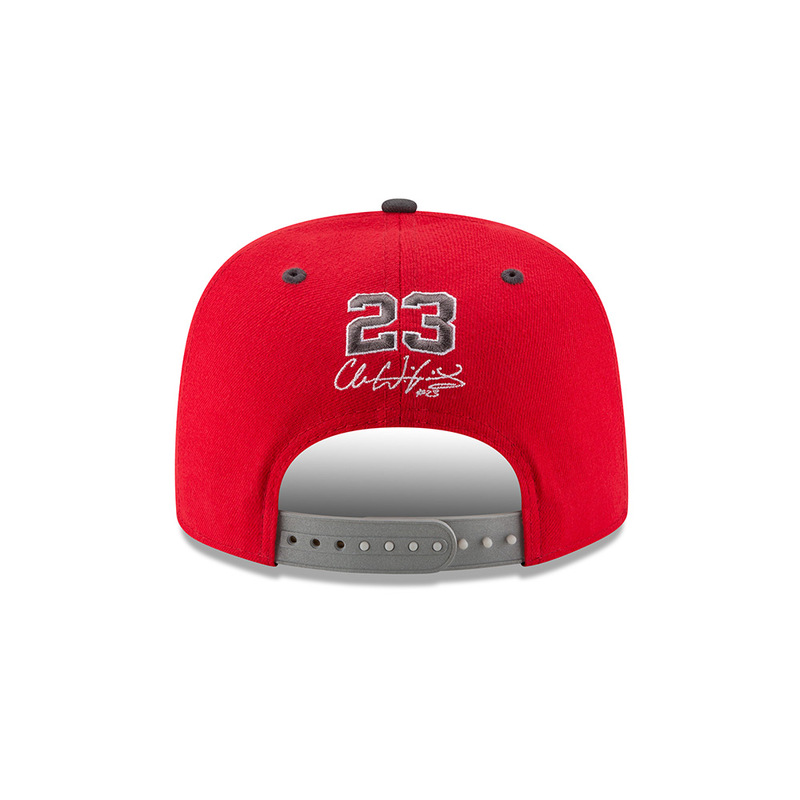 New Era is unveiling a new Bills cap that was designed by QB Tyrod Taylor and it will be on sale at New Era Field today. 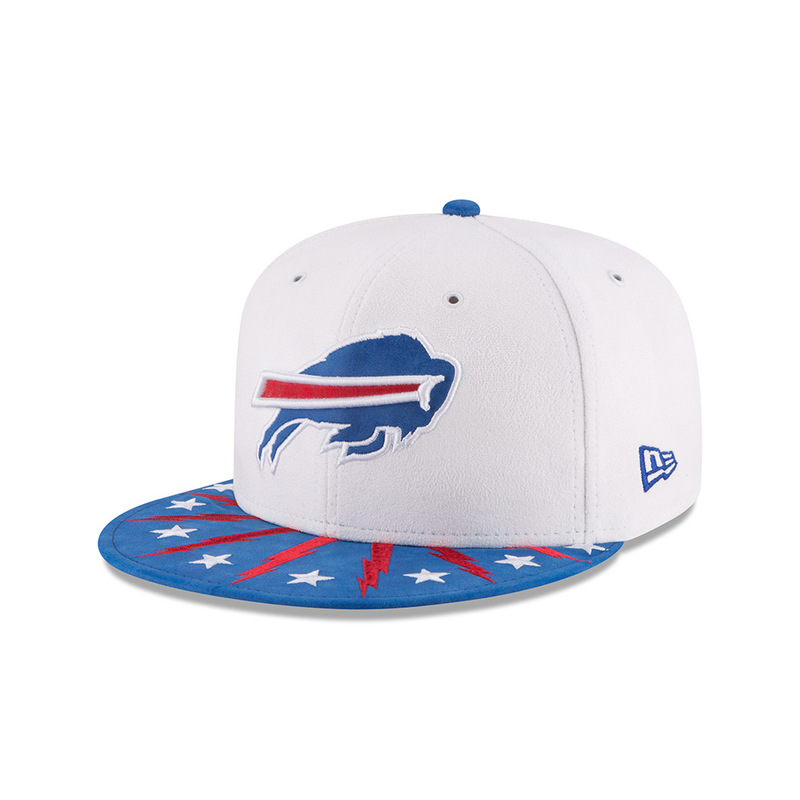 Here’s a look at the cap, which incorporates elements of the Municipal flag of Buffalo (lightning and stars).